Check out the photos of my big adventure this year! In early August 2015 I joined the Skyline Hikers, along with my friends Kate and Jane, and camped at 6,000′ in the Spray River Valley, south of Canmore, AB. 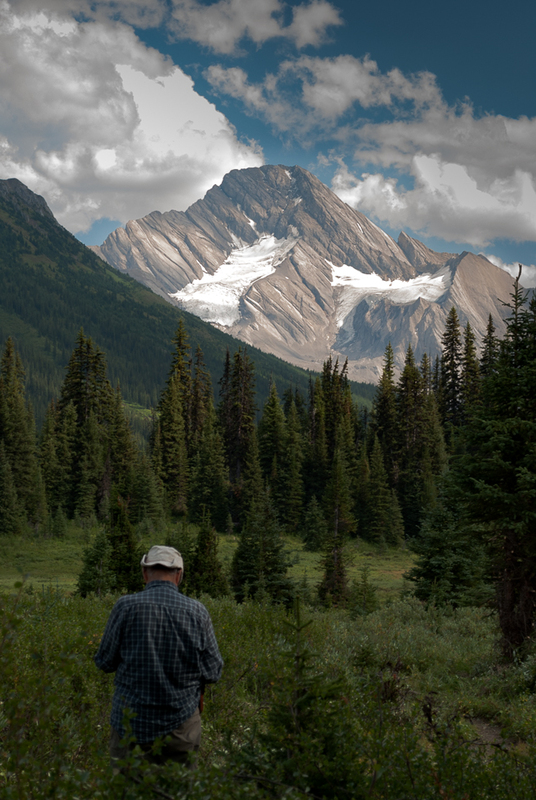 We hiked for six days, including in and out the 20 km to the camp site near Leman Lake, over into BC’s Albert Valley (250 m elevation gain/ 12km round trip) and up to the Burstall Pass overlooking the Kananaskis Range (457m elevation gain/12 km round trip). The weather was great from Monday to Friday afternoon, getting to around 28C through the day and down to zero at night. 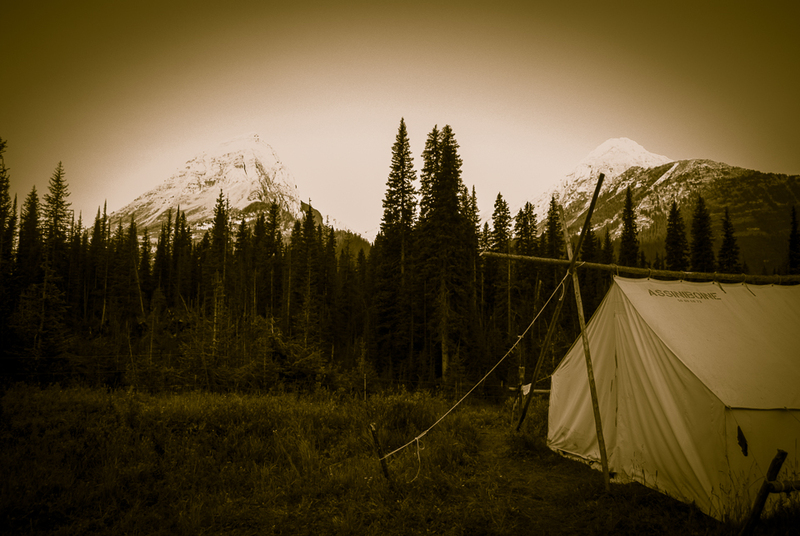 But we had wood stoves in the tents, which took the chill off in the morning and when we went to bed. Thanks to Jane for getting it started for us every day! The tents were good-sized canvas, held up by recently cut sapplings. The other hikers were a fascinating group of people, mostly in their 70’s – all interested and interesting – and they contributed to half the enjoyment of the whole week. Parks Canada goes to a lot of trouble to protect the wilderness from people and animals. Horses receive special feed to avoid depositing non-native plants in the area. People must hike in groups of between 4 and 10, with the group staying very close together so as not to entice wildlife to pounce on the “little one at the back”. There is an electric fence around the camp to keep out bear and moose and other larger creatures. We were over-run with smaller animals, whose homes we were camped over! Fresh water is available at camp, through a filtration system – but the rivers this year are very low so it apparently took more effort to get this organised. About 1 litre of hot water available every day to wash. Lots of good food – the trail mix was hardly needed at all, except on the last day. I have set out a page for every day except the last one, when we hiked back out the 20 km to civilization in the rain. It felt a bit like World War I – mud, rain, ponchos and packs. Too cold to stop for long to eat so the trail mix (GORP) came in handy that day. No pictures taken either, for obvious reasons. I found it difficult to get the kind of shots I usually take – the landscape is so enormous. There are some images here I will be adding to my main portfolio when I get a moment over the next few weeks.